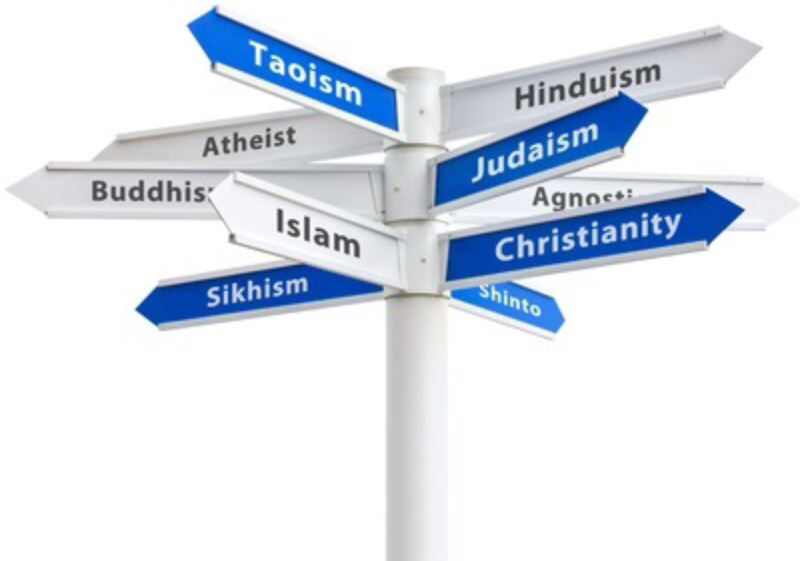 Many HR professionals come into contact with a religious accommodation at one point in time. Our worst fear is to handle it the wrong way and end up in a lawsuit. A recent court case involving two individuals who were terminated for not delivering alcohol because of religious beliefs was determined in their favor. After taking a close look at this case from just the details given in the following article, it is surely of great concern since the government intervened on the outcome. Here is a link to the article on Fox News: http://insider.foxnews.com/2015/10/26/muslim-truck-drivers-fired-not-delivering-beer-jury-awards-them-240k. The first question I have is if the job exists only to deliver alcoholic beverages? I would have to say this job sounds a lot like a beer truck driver. This type of job would only exist to deliver alcoholic beverages. I would have to imagine the candidates were informed of what they would be doing and what they would be delivering. I feel there is a responsibility on the candidates behalf because they should ask questions about the type of deliveries being performed and if there was an issue, they could easily decline the position or advise the hiring manager how they could not deliver alcohol. We all as individuals must take responsibility for the jobs we apply to, and do our best to understand what is required of us. Let’s say for example I applied to a clinc as a nursing assistant. The hiring manager tells me it is an abortion clinic. It is then my responsibility as the candidate to tell the hiring manager I would no longer be interested in the position. Religious accommodations were established to provide accommodations without causing undue hardship on the employer. If the job required the employee to deliver alcohol or assist with abortions, there would be no accommodation for a person who said they could not perform the functions of the job. It is important to distinguish between what is considered reasonable and unreasonable. A reasonable request would be one which did not require the employer to completely revamp the job or push all the employees duties to others because they could not perform due to restrictions. Myself and many other HR professionals will do all we can to assist those who cannot do the job because of restrictions, but we’re not required to eliminate job functions for one person if all others are required to do the same. The accommodation falls on us when we decide how to handle. If we say these individuals do not have to deliver alcohol, they would not have a job because they work for a alcohol distributor. Here is a fact sheet provided by the EEOC since Title VI of the Civil Rights Code covers Religious discrimination. http://www.eeoc.gov/eeoc/newsroom/wysk/workplace_religious_accommodation.cfm. Employers should make their decisions very carefully on any accommodation. If the job exisits to perform a certain set of duties, eliminating a part of it may very well cause undue hardship as the person should not be needed since the job requires a person to perform deliveries 100% of the time. Whenever an employee asks for a reasonable accommodation for religious purposes, the employer should take precautions to ensure the company will evalute the request and how the employees request will be clearly documented. This case gives me a little bit of anxiety since the government intervened in the case and assisted in getting the case pushed in favor of the two employees. I can understand if the company performed alcohol and soft drink deliveries, because the employees could then do 100% soft drink deliveries. This case is a clear example of how doing what is thought to be right can backfire on you if you’re not certain of the stipulations. Remember, if the job exists only for particular job duties, an accommodation should be considered when it does not involve eliminating essential functions. If the person cannot perform those essential functions, they should be put on a leave of absence until they can perform those essential functions (this is always the case for FMLA leaves due to personal restrictions). I can only hope these two individuals won this court case because they had the ability to perform other functions besides delivering alcohol. If not, this can only mean we have to take more precautions before terminating employees for failure to perform essential functions. The time has come for long sleeves and jackets for many across the U.S. Fall has always been my favorite time of the year as the colors always seem to migrate to orange. With the change in season also comes a number of weather challenges. Some areas in the U.S. experience extremely cold and freezing temperatures. Interstates, main roads and bridges freeze over and are dangerous for traveling. The vast majority of employees are commuting on the highway daily (especially to Baton Rouge, LA). With these weather challenges comes an opportunity for the company to decide how it wants to handle times when it is unsafe for employees to come to work. There were several times where I was driving 40 plus miles one way only to have my commute stopped by 3-4 hour traffic from closed bridges. My employer had a specific inclement weather policy which offered some support for times like these. The issue is management did not stand behind their policies like they should have. My manager called me at 8:30 and told me not to come in. It was a little too late since I left around 6:30 every morning so I could get to work on time at 8:00. Times like this frustrated me as HR should be more of an advocate for these policies when they need to be used. Every employer should sit down and decide how often these types of situations occur and if a policy should govern the situation. If your company operates in more than one state and have locations in the North (above Mississippi and Tennessee); the company may want to implement a guideline for situations which are unpreventable. The policy should be made around the premise of protecting employees safety. The second item is to decide how to compensate those employees for the time. The law does not require an employer to compensate an employee for time not worked, therefore, the company can make it a blanket policy for all employees to either use PTO or take the time unpaid. It is definitely a courtesy to compensate employees for time not worked. If you have a PTO policy, you may want to incorporate stipulations into the inclement weather policy so employees know they can either take PTO or can be unpaid for the time. The policy at my old job had 24 hours of inclement weather at a time. 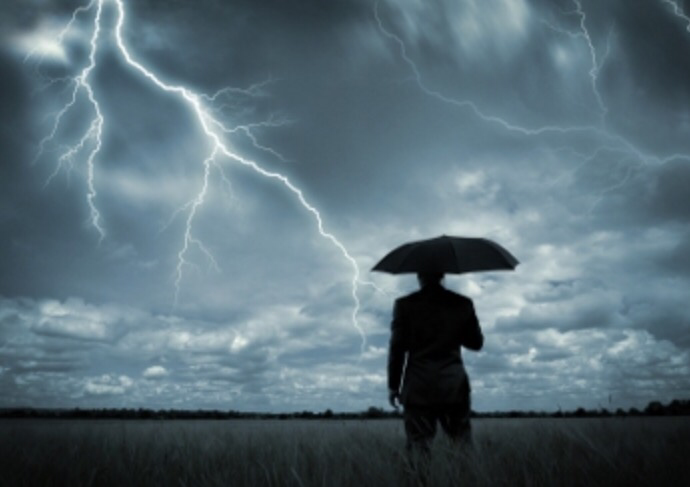 If a city had multiple occurrences of inclement weather during the course of a year, it could end up costing the employer a lot of money. Budgetary considerations should always be planned ahead of time to decide if PTO should be used or if the employee will be paid out of an inclement weather bucket. I can’t speak for all employees, but I can say I wanted to go to work and would be upset if inclement weather prevented me from doing so. If you’re in top management, take some time to prepare for this season by discussing inclement weather and how it affects you and your employees. Coming up with a plan ahead of time can possibly prevent issues into the future and make it easier to interpret those situations as they arise. 2005 was the year I signed up for my Facebook account. It was really cool to me because I could stay in touch with friends from high school and contact them at the click of a button. Years later, LinkedIn and Twitter evolved. Much controversy surrounds the legality of whether employers should be able to use the information against employees for purposes of hiring, employment practices or even requiring employees to provide account login information. Giving employers social media login information constitutes an infringement on privacy for employees, especially if the employer puts the employee in the position by duress or threatening disciplinary action up to including termination. Louisiana passed a law in 2014 which forbids employers from requesting social media account information of applicants or employees. Current or former litigation on social media will continue to pave the way for new laws and regulations for employers to follow. 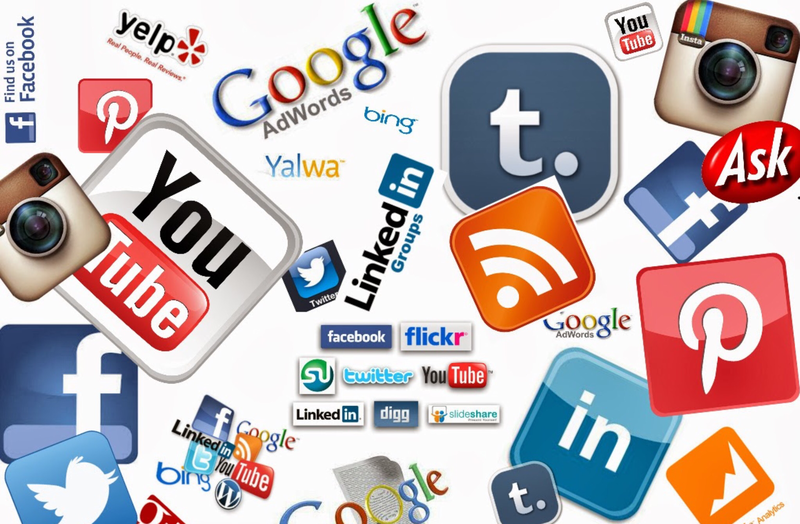 Heath Morgan and Felicia Davis wrote a detailed article on Social Media and Employment law advising some courts have found pubic social media are fair game for employee investigations, particularly when the employer obtains the information without asking or pressuring an employee to provide it (Morgan and Davis, 2013). It is comforting to know there is the ability to investigate employees negligent activity through social media without infringing on privacy laws. An issue was presented to me earlier in the year surrounding how an employee was to handle their name being used in someone elses social media post and how it was offensive and insulting. I advised the employee how social media is in fact protected by the first amendment right of free speech; therefore, there was no protection or action I could offer the employee. I did advise the employee how they would need to speak to offender and advise him/her to please remove the social media post as it was offensive and inappropriate. The employee said the other person would most likely refuse to take it down. At the moment he told me this, I informed him to then tell the person if they refused to take it down, he would seek legal advice to see if it was legally actionable for defamation since the statements were not accurate and were blasted for others to see. The employee ended up not following through on my advice and the entire department ended up getting wind of the post. I unfortunately could not intervene and force the employee to take it down as they were exercising their free right of speech. If I forced the person to remove their post, I would have just done what the law calls an “unfair labor practice.” Even though the hospital does not have a union, the employer must not prevent employees from engaging in concerted activity as well as following any freedom. With other employees from the hospital commenting on the post, they were essentially cyber-bullying the employee without the employee being “tagged” in the post. I left the facility before I could intervene, but wanted to tell the employees they were putting themselves at risk for bullying this employee on social media. Once a post is put out there, there is a permanent record of it to fall back on even if the post is deleted. Unfortunately, the law prevents employers from involving themselves in social media matters unless the employee is posting something while at work (Like a selfie with a patient or a video of themselves disclosing confidential company information). The article written by Heath Morgan and Felicia Davis also states how employees should have narrow social media policies and keep it to legitimate business interests. The hospital lacked a policy at the time, which prevented me from having any real guidance from the hospital. If there is any advice I can give any young professionals, it would be to not put your frustrations about work or any work related matter on Facebook or any other social media platform. If it is something which needs to be discussed with others (like pay, working conditions etc), do so in a manner which will help the situation instead of make it worse. I would also advise young professionals to discontinue taking selfies at work or taking pictures in their offices. The ability to catch information which does not belong on social media or causes a privacy issue can clearly put the person at risk. How having a succession plan now can help in the future. Everyone who is a Saints fan like me knew how traumatizing it was to discover Drew Brees was sitting out of one of his first games in over 10 years as the Saints Quarterback. I often wonder what it would be like without him as he is such a star on the field for us. 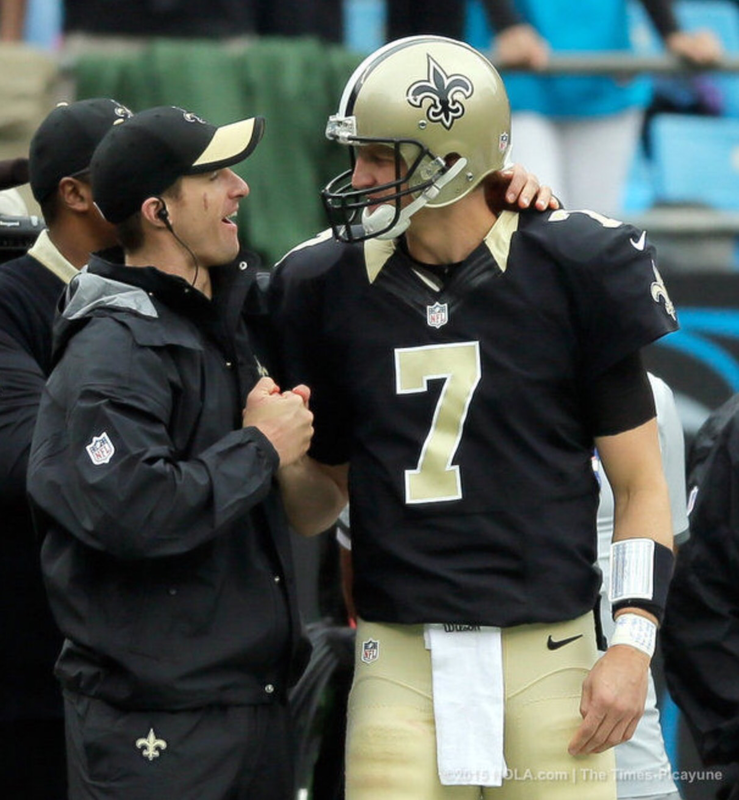 When he got injured a few weeks ago, it got me thinking about how the Saints really need to develop someone into a leader with effective passing skills. Every fan in the NFL realizes if their star quarterback goes down it can affect their winning ability almost immediately. It would be like taking Peyton Manning out of the Denver Broncos game and hoping his backup would perform the same. Succession planning is no joke, whether in the NFL or in the workplace. The results are similar based on how the company or team develop the next best leader for the organization. Having a CEO retire is something a lot of companies have to deal with sometime in the future. Unfortunately, everyone has an exiting date with a place or organization. Usually it takes months or years to find an equal replacement for senior leadership positions. Organizations can suffer on the front and back ends when leadership is not in place to fill the gaps left by the exiting party. Succession planning means determining ahead of time what team member or members would be a valuable asset to the company in the long run. Once this/these person(s) are determined, the company should then meet with the individual(s) to see if they feel the same way long term. If the feeling is mutual, the company can then set up development plans to educate and train the individual on how to handle the specific situations they encounter everyday. These development plans should not come from thin air, but should be formulated on the premise of feedback and suggestions of the person who is being succeeded. The successor should also have time to receive mentorship from the person who will leave in the future so they can be prepared for most situations. I’ve seen many teams in the NFL lose games after a backup was put in the game, and it is shocking to discover how the team did not have a very efficient succession backup plan in place. Then again, we’ve seen those teams who end up winning more when the backup gets put into the game. I don’t know of any company who wants to put the faith of their employees in someone who is not ready to lead or run the operations efficiently and smoothly. The best way to deter this from happening is to ensure someone is developed and ready to take over the soon-to-be vacated position. Not all individuals who are thought to be the next-best-leader end up being fit for the role. The best way to discover this is to have multiple people on this development plan track. When going through leadership training and testing, one who will most likely not succeed will most likely show in their results. To be a leader requires special hard and soft skills like communication, people skills, motivational skills, tactfulness as well as ability to understand complex information and issues. The individuals who are unsuccessful should be removed and possibly developed into a different type of role which is not in leadership. The ones who are successful in their training and development track should be moved forward into the process. In my last position, I recall a senior leader who was going to retire in a about a year. I immediately informed the VP how we needed to start a search for a leader within the organization and get her on a development track so she can move into this vacated postion in the future. The person was eventually chosen and moved into a leadership role to learn and understand the first part of the business she was going to handle. Once she mastered this part, she would then be mentored by the senior leader on the areas which were also required in order to be successful in the role. I just remember the individual was well fit for the role and appeared to have the tactfulness to work as a senior leader. Whether it is starting quarterback or a senior leader, always have a plan in place to replace someone in the future; especially if you have knowledge of their eventual departure in the distant future. These individuals carry knowledge and skills which can be lost in an instant without a back-up plan. The responsibility of a succession plan falls with senior leadership and management. No company or organization wants to have to suffer a loss whether its losing games, money or employees, so be sure and work on getting your next best leader developed ahead of time. Here is a link to a really good article about how to implement a succession plan and the challenges one can face when implementing one.